Sevilla, Spain – December 10th. ThunderGryph recently announced Spirits of the Forest, a charming set collection abstract-like game by Michael Schacht. Thanks to the support of the team behind Tabletopia, a free to play digital version of Spirits of the Forest is available to play from their website, no download required! To celebrate the upcoming release of the game on Kickstarter, ThunderGryph planned three different events with special rewards including a Hand Signed Collector’s edition for the winner of the tournament. ThunderGryph’s team will be available in Tabletopia’s Discord channel to explain the game and play some matches. There is also the possibility to spectate a match instead of playing the game if interested. Spirtis of the Forest takes 5 minutes to explain and 20 minutes to play. ThunderGryph’s team will be playing at different tables during the event. 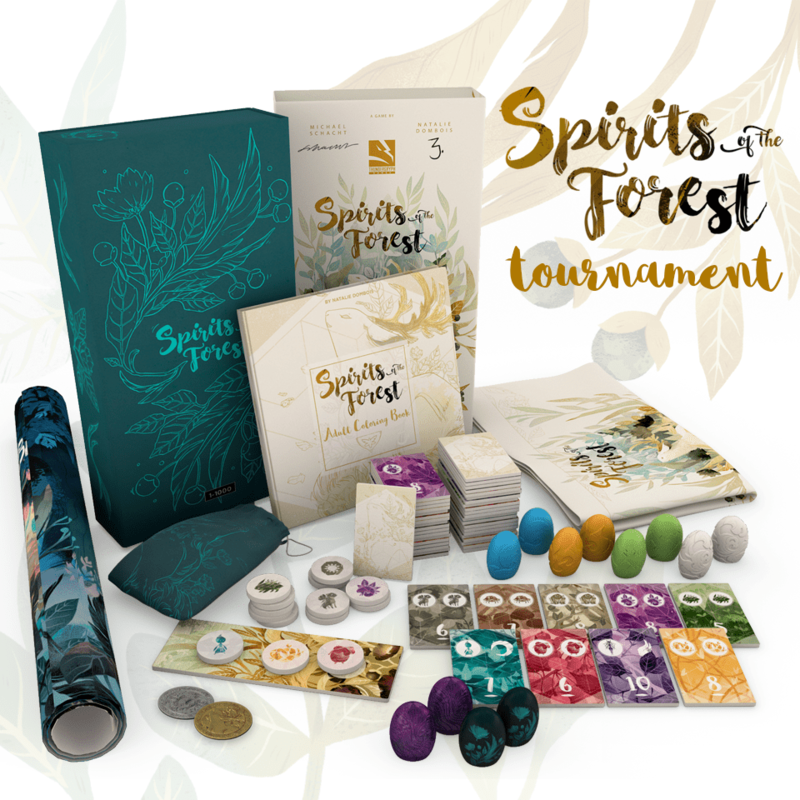 By winning a match against one of the team members you will enter in a draw to win one of three retail copies of Spirits of the Forest at the end of the event. Free to join, direct elimination tournament. Payers will join a room in Tabletopia’s Discord channel to sign up. It will start with 3 player games and then change to 2 players games at quarter finals. The final match will be commented and live streamed on the Kickstarter page of Spirits of the Forest. All very exciting news and that collector’s edition of the game looks amazing (even though I’ll likely stick with the deluxe edition). 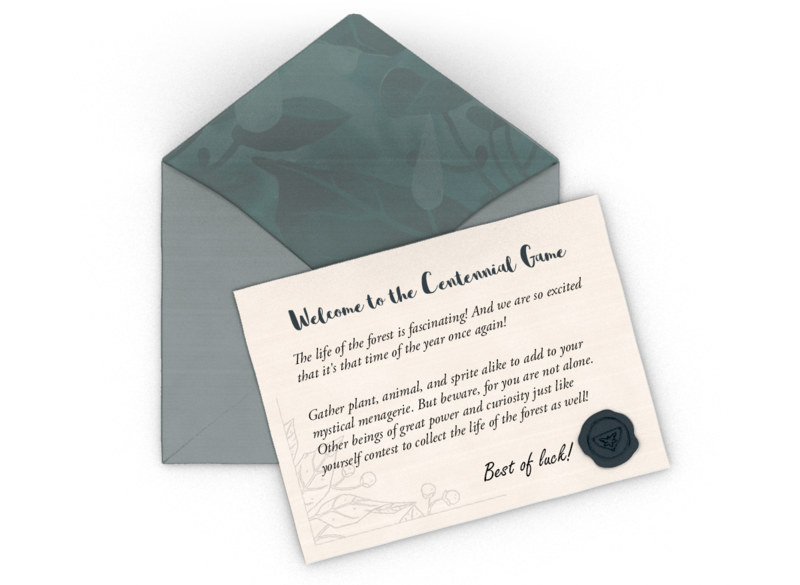 Despite that though I noticed that my comment about the rulebook on the main page for the game (https://thundergryph.com/spirits-of-the-forest/#comment-3846) hasn’t been rectified yet. Hopefully it is handled before the tournament starts which I hope to participate in if I am available! It has already been rectified for printing. collector’s edition will have the box sleeved of retail edition? the retail edition box art so amazing !